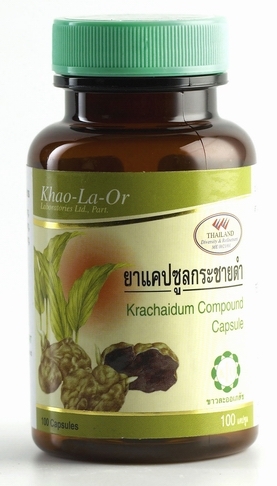 Krachai Dam is a relatively small plant and is a member of the ginger family, found mainly in the northeastern part of Thailand (about 500-700 meters above sea level). 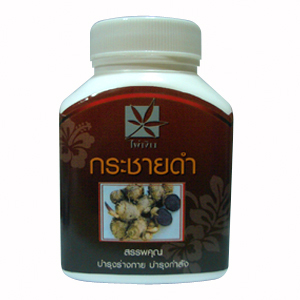 With the Thai people (especially men), this plant is very polular because of its versatility, especially known as a potential natural stamina enhancer with extremely high efficiency and without side effects. Especially under the Muay Thai fighters (Thai Boxing), the Krachai Dam is popular because it gives them extra strength and energy. 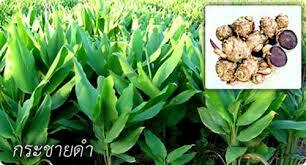 This short-lived plant blooms in spring and one month after flowering its healing ingredients develop in the root . 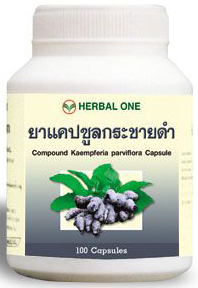 This is why Kaempferia parviflora was almost unknown outside Asia. Because a better functioning of the libido often goes hand in hand with an increased testosterone level and thus an overall rejuvenating effect, this plant quickly drew the keen interest of Western science. (Source: H & H Health & Herbals). At present there is no direct competition for this product. Various dietary supplements and herbal treatments promise an immediate action and short term benefit. None of them, however, emphasize daily consumption and cumulative, ongoing results. With KP the long term benefits include more frequent, longer lasting and more firm erections -- with an accompanying feeling of sexual rejuvenation that is mild but stable and consistent -- without any negative side effects. This change occurs gradually, with a sense of normalcy, and begins to be felt within 7-10 days (approximately), given twice daily consumption. Natural spontaneity can return to the consumer's life, as there is no need to schedule sexual relations around taking a pill. The need for pharmaceutical support diminishes and becomes unnecessary over time.